This level has hard difficulty. 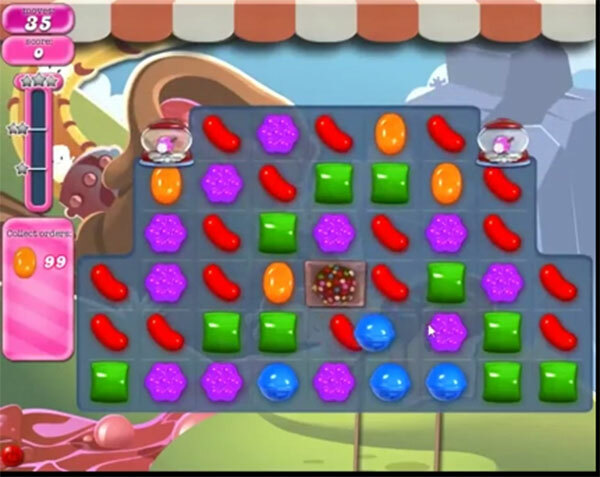 For this level try to play with orange candy or break colorbomb with orange candy. Try to make and break wrapped candy to have more orange candies available to break. I agree. The required orange candy does not drop down. Most frustrating level. Not one person can complain about this level since last year. I can’t even get close. This level is not fun. No orange candies fall, even when matching 2 special candies and when I do finally get some color bombs they all explode at the same time. It’s not fun and I have no desire to continue to lose. Needs more moves and less timed bombs. Terrible level and I am getting tired of trying. I agree. Not fun. Just want it over to get to a more interesting game. I agree. Not enough orange and get timed out. Frustrating.